Can you tell us what happened in that case? From my perspective I gained a profound disrespect for the FDA and pro-vaccine defense experts who pretended the case could have been from wild polio in spite of the fact that most, if not all of the polio in the United States at that time, arose from parents coming into contact with the polio viruses shed in their child’s stool or saliva. Their justification then, similar to their justification now, arose from an unwritten CDC/FDA policy to “sacrifice some for the good of the whole” – a comment related to me by a senior CDC physician, Dr. Michael Gregg, in a private conversation. This explains why zero funding is available to do clinical studies of vaccine reactions in the United States. Both of the lawsuits settled before trial. The trial judge dismissed the FTCA lawsuit and was overturned on appeal in the decision cited above. Before you go further, can you please explain what a Vaccine Injury Table is? It makes it easier for some and impossible for others. Certain reactions within a set time period are automatically compensated. For example, the parent of a child who became paralyzed by polio within 60 days of the child’s receiving the live polio vaccine would automatically be compensated. This was the most common reaction to both live and inactivated polio vaccines. However, a child acquiring an encephalitis where the Colburn strain of CMV (cytomegalovirus) was isolated from his brain at the age of six, would not be compensated unless his lawyer were clever enough to discover that the Colburn strain of CMV is actually simian in origin and came from the African green monkeys used to produce the live polio vaccine. Recently Baboon endogenous retrovirus (BERV) was discovered in MMR vaccine, but no one has access to the tests to detect it in children with possible vaccine reactions. Since it is a live vaccine, one would expect the onset to occur within 3 days to three years, nor would anyone know how to correlate it to the particular Lot of vaccine given as FDA keeps such information secret.a “commercial privilege” protection under FOIA. Walter, what I find interesting about the Vaccine Injury Table is something most proponents of vaccines/vaccinations probably are not aware and it is “The Table lists and explains injuries/conditions that are presumed to be caused by vaccines.”  So, in effect, HHS/CDC/FDA agree vaccines can cause damage. I suggest every parent becomes familiar with the Vaccine Injury Table in the link at reference . The Table is per se inadequate and a mother or father should follow their gut instinct when faced with a vaccine reaction most of which are probably not on the Vaccine Injury Table. Currently there are laboratory-testing methods developed, but withheld from diagnostic use by FDA that can quickly and cheaply link reactions to vaccines. I do not feel anyone should subject their child to an immunization unless faced with an actual, not a CDC forecast, epidemic of a life-threatening pathogen. That is, until those testing procedures are made available to the general public for diagnostic evaluations of both the injured and of the vaccines which are administered. I am not anti-vaccine but strongly oppose FDA/CDC/NIH B.S. (rhetoric and hyperbole) when it comes to evaluation of vaccine reactions. For example: Dr. Jonas Salk, developer of the inactivated polio vaccine (IPV) gave unchallenged testimony before the Senate Committee establishing the Vaccine Injury Table that there had been no paralytic reactions to the Salk vaccine in 450,000,000 doses resulting in a Table that provided no compensation for IPV-caused polio. The FDA stood by and said absolutely nothing, but had good reason to know Salk’s testimony was not true. Really! Salk had provided expert assistance and consultation to me for 12 years while the ongoing feud between Sabin and Salk brewed over which vaccine should be used in the United States. When the Chief Special Master appointed me to head an Attorneys Committee to investigate the possibility that Salk’s vaccine had caused hundreds of cases of polio that had never been linked to the vaccine by FDA, I truly believed that Salk’s vaccine had never caused polio except in one isolated manufacturing problem in 1955. After the Committee investigated and discovered that not only had Salk’s IPV caused polio, it had probably started epidemics, and the famous “Frances Field Trials,” which the FDA’s predecessor touted as proving IPV’s absolute safety, were “rigged” and probably caused as much polio as they prevented. Walter, that’s something that isn’t well known and apparently pushed under the carpet, as they say. Under the carpet would have been nice, HHS pushed the attorneys on my committee out the door. The Justice Department attorney began attacking members of the Committee on trivial issues, objected to our being paid promptly in all matters including other cases and ultimately all of us stopped practicing in the Vaccine Injury Compensation Program. Walter, thank you for pointing out that important fact, something vaccine safety advocates are concerned about to this very day—unknowns in vaccines. It’s happened several times and constantly gets pushed under the ‘scientific carpet’, it seems. Please continue. By 1988, I concluded, based on evidence discovered from the OPV manufacturer’s files and FOIA litigation against the FDA, that FDA allowed release of live Sabin oral polio vaccines that also contained live simian retroviruses and/or viable genetic sequences of such retroviruses within the polio vaccine itself – a fact admitted by the Director of the Bureau of Biologics on April 15, 1980 in the Federal Register. In 1992 a world renowned medical journal, The Lancet, published my paper, “Simian retroviruses, polio vaccine and origin of AIDS” 339:600-601 (Mar. 7 1992), which linked the 1981 AIDS outbreak in the United States to the nationwide use of OPV for treatment of genital herpes in homosexual men by dermatologists. Following multiple oral doses of OPV, the viruses passed in their stools along with the then unknown simian retroviruses and herpes viruses (i.e., SIV and KSHV – Kaposi’s Sarcoma Herpes Virus – and CMV – Cytomegalovirus). Curiously, this panorama of simian herpes viruses also infected the first AIDS victims. That article identified specific lots of contaminated OPV and suggested independent testing, which FDA refused to retest, but “pretended” that it had through false press releases in 1996. The FDA faced huge liability here so they spent millions sending someone to find AIDS-like virus in chimpanzees which is more genetically similar to HIV than any of the other simian viruses, problem was, the chimps would eat the same African green monkeys, the source of all SIVs, which were used in the oral polio vaccine. Curiously, Sabin’s Type II oral polio vaccine, most frequently (of the three Types in a single dose of Sabin OPV) associated with the immune deficient category of paralytic polio was administered to and ultimately isolated from the stool of a chimpanzee. I believe an honest evaluation of the science would place AIDS under the vaccine injury table, and what a massive expense that would be. So Congressional oversight of the issue may be hard to acquire, but should be sought, all parents should ask for is “the whole truth,” the portions of truth FDA releases often times mislead. for recombinant DNA vaccines (rDNA), studies on the viability, propensities, and evolutionary tendencies of the genetic vaccine agent when introduced into an appropriate species or cell line free of any other portions of the original putative agent toward which the vaccine is targeted. Walter! That would be an answer to a lot of prayers, I’d venture to say. What has happened recently? The latest vaccine saga began on May 7, 2010 in Gaithersburg, Maryland, when the Vaccine and Related Biological Products Advisory Committee (VRBPAC) met to review the finding that 200,000 copies of a pig virus were found in each dose of the rotavirus vaccine. An independent laboratory with access to Lawrence Livermore’s Microbial Detection Array, (LLMDA), screened some off-the-shelf vaccines for all known and sequenced viruses and the findings were published in Virology on March 10, 2010. Test results on the polio vaccines were apparently withheld, possibly for unwanted results consistent with comments that I made at the meeting. (Transcript p221). That modus operandi is getting to sound a little familiar, I’d say. Go on, please. In that meeting Dr. Holly Franz, developer of the array patented by Lawrence Livermore Labs stated Transcript p330) that over 2 million known pathogens could be detected with this 2×3 inch glass slide that cost about $400.00 and that it could detect mitochondrial DNA changes before any vaccine reaction occurred. The chips were developed, promoted and patented with claims of usefulness in diagnosis of the cause of illnesses. Walter, that’s exactly what vaccine safety advocates—especially I—have been suggesting, asking for, and promoting with regard to mitochondrial DNA. Sorry to interrupt, but that is amazing. The FDA “fix,” unfortunately, was in place at the time of the meeting and the Committee discussion at the end of the day foreshadowed what FDA planned for this revolutionary diagnostic tool. VRBPAC members voiced concern that someone might use the LLMDA on other vaccines or products and newly detected agents would appear that VRBPAC could not explain. The unspoken fear, in my opinion, was that vaccine reactions could now be scientifically correlated to agents in the vaccines, and no longer defended with argument and innuendo which formed FDA’s historical basis for publicly assuring vaccine safety. Walter, if such technology is available—and its invention may have been funded by taxpayers’ dollars—what kind of conspiracy or collusion is going on that prevents the public and their physicians and pediatricians from having access, especially now that the CDC’s VAERS reporting system shows serious numbers of adverse events. Oh my goodness—Congress ought to get involved and mandate FDA release LLMDA to professional and health consumers’ access. Please continue. The meeting itself appeared to be a “red-herring” approach to quell public outcry over a non-required vaccine, which contained a contaminant that had been in the vaccine for 15 years and could have been detected by PCR (polymerase chain reaction). FDA members on VRBPAC assured the public that no reactions had been associated with the pig viruses in the vaccine during those fifteen years. That, Catherine, was the FDA at its Orwellian best – its orchestration glibly implied that testing for pig viruses was routinely performed in diagnosis of a potential reactants unusual symptoms. The FDA failed to disclose how many, if any, physicians had ordered PCRs for these pig viruses in the past fifteen years. Why would they? Chances are high that no testing was ever done, which is probably why the FDA “spun” this lack of data into “proof of safety” – and allowed the continued distribution of the vaccine. Walter, that makes me want to cry for all those who received that vaccine over fifteen years. That’s perfect proof to quell those who say vaccine safety advocates are conspiracy theorists and don’t know what they talk about or science. What you just said should be considered “high crimes and misdemeanors,” I think. Please continue. This scenario is consistent with the FDA’s findings in 1970 that 100% of the Sabin Oral Polio vaccine was contaminated with simian herpes viruses and FDA permitted it without ever notifying physicians of potential adverse effects or even its presence in the vaccine. The same can be seen in 1975 when FDA lab workers found simian retroviruses contaminating OPV, and it was allowed to continue by the Bureau of Biologics (BoB). A year after asserting the vaccine, the regulations did not bar the release of OPV contaminated with simian retroviruses, the Director of BoB became the Senior Vice President of Scientific Affairs at American Cyanamid – the only company producing OPV in the United States at that time. Walter, what does that tell you? Someone’s fanny ought to be sitting in a jail cell, I say. What do you suggest? People should question why VRBPAC did not address the baboon (BERV) and human endogenous retrovirus (HERV-k) found in MMR vaccine, reported in Virology in the same article that identified the pig viruses. Could it have been the potential damage to the FDA’s Omnibus Litigation on autism pending before the Supreme Court? Ahhhhhh! Something smells a little fishy, I’d say. I feel, that at the very minimum, FDA should have revealed the scientific developments, available to the FDA, which should have been used to screen all 5,000 litigants, instead of basing their defense on the testimony of an expert for Claimants whom they vilified. That was argument and innuendo, not science…and certainly not within the spirit of the legislation intended to assist vaccine-injured claimants in a simple and hassle-free recovery. Walter, does Congress know about that? If not, why not? I sure hope there can be a congressional investigation into vaccines, and I’d love for you ask that dynamite question. Go on, please. I doubt that anyone in Congress fully appreciates the plethora of “political” scientists who occupy the upper level positions at FDA and NIH and who have the capability of not funding projects that would scientifically analyze vaccine reactions. We have seen that failure to follow up from the outset when SV-40 viruses contaminated the initial Salk vaccines, to the 1971 discovery of simian herpes viruses contaminating OPV – which all seemed, curiously enough, to all appear in the initial epidemic of AIDS – to the current comments on RUO’s and IUO’s where the College of American Pathologists and American Society of Microbiology subtly “bought in” to the FDA’s concern about using the LLMDA testing to screen vaccine victims for reactions. After the VRBPAC meeting, Lawrence Livermore Labs stopped looking for “commercial partners” to develop new uses for the technology – for example using it to test vaccine injured claimants for diagnostic purposes, and FDA threatened to revoke the license of any lab that used the technology for diagnostic purposes and proposed regulations which limited the use to research and investigational use only. For more information, Google RUO and IUO and the attempt to regulate the chip under the “medical devices” regulations. Walter, what you say above is nothing short of collusion and/or conspiracy on the part of FDA to keep health science from healthcare consumers whom FDA is supposed to be protecting. How down right damning of FDA! I feel the actions of the Secretary of HHS, in denying Claimants access to the latest scientific methodology to present their claims violates Claimants’ rights to both substantive and procedural due process as guaranteed by the Constitution of the United States and the Vaccine Compensation Act. This is not saying that the Vaccine Compensation Act, itself, is unconstitutional, but that Claimants’ rights to recover compensation under the Act are compromised by the bar set up by the FDA, which should be considered a violation of the Secretary’s statutory and Constitutional powers. Unlike a claim under the Federal Tort Claims Act (FTCA) that can be barred by the “discretionary function” exemption, the Secretary’s power to administer the Act arises from the statute, which was intended by Congress to streamline recovery for people injured by vaccines. The Secretary, in withholding access to the latest science from Claimants, their attorneys and experts, violates the Claimants’ rights to substantive and procedural due process, especially where the Off-table injured, are denied the ability to adequately present and argue their case. Intentionally withholding scientific developments from vaccine Claimants whose right of recovery is dictated by Judges appointed by the Secretary, in a Court controlled by the Secretary might best be moved to Australia where kangaroos are an indigenous species. Walter, thank you so much for saying that. That’s the legal crux of the entire vaccine issue, I think. So? Under the Act, as presently interpreted by the Supreme Court, claimants are barred from challenging the relative safety of one vaccine, compared to the safety of another vaccine, in suits against vaccine manufacturers. The definition of “safety” of a vaccine depends on the HHS Secretary’s discretionary decision to not clinically investigate reactions to any given vaccine. The Secretary routinely chooses to not investigate the safety of vaccines where adverse reactions are reported and this discretionary decision may not be challenged under the FTCA. But I do not believe Congress intended to grant the Secretary, nor does the Secretary have the discretionary authority to block a Claimant’s access to the latest scientific technology in order to prove a claim, where the science may be the only possible means for direct proof and Claimant’s Constitutional right to a “redress of grievances” and access to state courts has been limited by the Vaccine Act. How outrageous! And innocent infants, toddlers, teenagers, and adults suffer! However, where the vaccine is improperly made in violation of specific regulations, the discretionary function exception does not apply under the FTCA. Under the Vaccine Compensation Act, Congress clearly intended that people injured by vaccines should recover damages by merely proving that a vaccine caused the injury without needing to show the warnings given were inadequate or that the vaccine was improperly made. All that needs to be proven is that the vaccine caused the injury. Congress also intended that recovery be quick and non-confrontational. Now wait a minute, Walter. Talk to any parent who’s tried to get a vaccine claim filed. Continue. Neither of which has been followed since the early days of the Vaccine Compensation Program and the “deck,” unfortunately, has been stacked against Claimant’s recovery. In Loge v. United States my proposed action against the HHS Secretary under the jurisdiction of a “Constitutional Tort Claim” for an invasion of the mother’s right to privacy for being exposed to and immunized with a untested and unsafe “shed” polio virus vaccine pursuant to a government program to immunize people without their knowledge, or consent, and against their free will was rejected by the Eighth Circuit Court of Appeals. I was later informed, however, that the FDA was very concerned about this approach, which followed the logic found in Bivens v. Six Unknown and Unidentified Federal Narcotics Agents. Loge was allowed to proceed under the claim that the original vaccine, itself, failed to pass mandatory safety regulations and ultimately settled. May I ask a ballpark figure, or can’t that award be disclosed? The amount is immaterial. There is not enough money to compensate a mother for the loss of her legs when her first and, as a consequence, only infant is three months old. I suggest that any childhood immunization is a per se invasion of the recipients privacy since the child cannot provide meaningful consent. Hence the Secretary’s action to block access to technology [LLMDA] that could both predict reactions before they occur or prove causation when they occur is a violation of the child’s right to privacy and the basis for a Constitutional Tort Claim against the Secretary of HHS. The Secretary’s actions in blocking use or this technology for diagnostic purposes violates the rights of Claimants under the Vaccine Injury Act to their rights of procedural and substantive due process and effectively eliminates their Constitutional right to “redress of grievances” and access to the state courts. Pardon me for interrupting you, Walter, but I need to applaud that statement. We now know that many vaccines carry previously unidentified agents (i.e. simian herpes viruses and immunodeficiency viruses (OPV/IPV), Baboon endogenous retrovirus (BERV) and human endogenous retrovirus k (HERV-k) in MMR vaccines and those are the tip of the iceberg. Walter, MMR has been suspect for a long time in parents’ minds. Parents have stated that when a child receives the MMR vaccine, that’s when the problems begin. As a class, infants and children forced to receive immunizations under the FDA threat of withholding education to States that do not exercise their “police powers” to require immunizations for school entry, are the most vulnerable, innocent, and unprotected group in our society. As a group they are also our nation’s greatest assets. Where’s the problem, as you assess it? At VRBPAC the government abdicated all control and oversight of vaccine substrates to the pharmaceutical manufacturers in an apparent attempt to side step liability for any future contaminants that might travel within vaccines. Unless Congress requires that all vaccines distributed in the United States be screened using the latest scientific technology available and making that information public record, more chicanery from manufacturer’s such as Merck, which recently was exposed as falsifying efficacy data in a whistleblower’s lawsuit [[Civil Action No.10-4374, U.S. District Court for the Eastern District of Pennsylvania filed August 27, 2010] is certain to occur …and efficacy is one baby-step away from safety. So, what does that portend for the future of vaccinations? 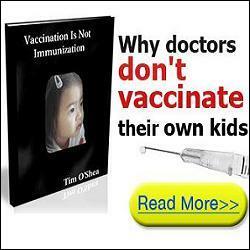 With such information public record, or at a minimum available to any claimant alleging injury following immunization, and any claimant having access to the latest scientific methodology to assess their claims, is the only way to assure a safe vaccine program and the only way to justify mass immunizations of our children. Having these tools available should streamline the vaccine claims process and ultimately, obviate protracted litigation. If vaccines are so safe, as proclaimed by the FDA, it would eliminate recovery by Claimants who do not suffer from vaccine derived injuries. Where the FDA has abdicated substantial authority to vaccine manufacturers on substrates, and claimants lack access to such knowledge and information as a result of FDA’s actions, it is only fair that this technology be made available to all Claimants and all physicians investigating the etiology of any disease or malady suffered by children who have been immunized or in close contact with other immunized children. Finally, I suggest that authority over the nation’s vaccine program be removed from the Secretary of HHS and be given to a new Cabinet level appointment who is independent of pharmaceutical company influence or control. Walter, this has been a most amazing interview, for which I thank you. I’m certain our readers’ minds will be blown. However, more than anything, I truly hope and pray some members of Congress read this and take the necessary actions to correct and neutralize the apparent conspiracy involving vaccines in federal government agencies. Again, thank you! Let’s make FDA accountable to those whom it is supposed to protect, not Big Pharma. 8 Comments on "Exposing the FDA’s Vaccine Injury Cover-up: An Interview With Walter Kyle, Esq." They’re in it for the money. It’ll be fun watching them squirm as vast portions of their work becomes automated. Then, demand for a doctor will drop off. Of course, no one will have any real decent paying work by then. No one will afford doctors, demand drops out of the bottom again. Seems to me that even money will lose demand. No one except the wealthy will have money. they don’t buy millions of pillows a month, yet millions of pillows are made to sell. If no one is buying, why produce? I see the whole house of cards tumbling down rather quickly, especially given rise to a push for more automation. hm, kind of reminds of a Megadeth tune in a way. _Peace Sells_ but nobody is buying. How would you propose to automate the majority of what is done in hospital? Do you live in a situation where you need produce no income? John Stewart just did a show on “anti-vaxxers”. Made me cringe seeing how manipulated, or filtered, the content is. It makes me cringe when I see how poorly this post has been maintained. They do to medical school to enter a well-compensated position. Most of them never do the necessary research or critical thinking to cometo the conclusion that much of what they were taught in medical school is long-disproven witch doctor protocol. The few who figure it out either find a way to practice ethical health care or just keep on plugging in the hope that they won’t discovered for the frauds they are. Doctors have the same plausible deniability as lawyers and police officers. They do as they are told and are protected by Leviathan.